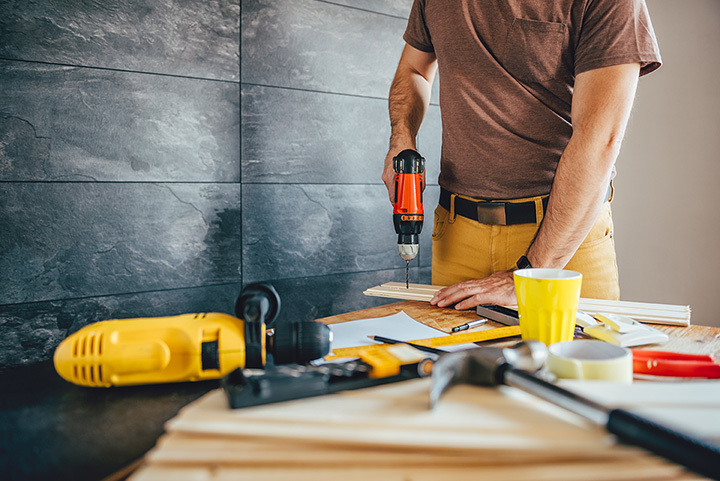 Besides being a source for your home improvement needs, shopping at independently owned and operated hardware stores can give you a feeling of being connected to the community and provide a superior level of customer service and friendliness. Choose any of the stores below for the items you need to complete your special project and find out why they have such a great appeal to shoppers. Here are our 10 favorites. Who needs the larger, more expensive hardware stores when you have a full-service community-minded store like F.M. Pile Hardware in Charleston, West Virginia. In business since 1932, you can find almost anything you need including power equipment, tools, paint, plumbing and electrical supplies, lawn and garden items and so much more. They offer service and repair for reasonable prices, too. Open six days a week, Rich Hardware in Barboursville, West Virginia, has a large selection of home improvement tools and equipment to help you start and finish your project. They have the largest inventory of Big Green Egg products like grills, charcoal cooking utensils, and organic charcoal in the area. This little hardware store is the perfect answer for those hard-to-solve problems. The friendly and knowledgeable staff will work with you to find the right tool, supply, or answer for your situation. Kanawha Terrace Hardware in Saint Albans, West Virginia is a locally owned store with a little bit of everything and fast, friendly customer service. Thompson’s in Worthington, West Virginia, has been around for over 50 years providing new and used equipment, animal feed, hardware, appliances, and lawn and garden supplies are a licensed Kubota dealer and offer maintenance and repair services on most of the tools and equipment they sell. With a large inventory, honest sales staff, and superb customer service, they work hard to earn and keep your business. Berdine’s Five & Dime Store in Harrisville, West Virginia, isn’t just your typical hardware store. It’s an experience in time travel. In operation since 1908, this little store in a corner of the Mountain State is the oldest dime store in the country and you’ll feel like you’ve stepped back in time when you enter the doors. You can purchase bulk candy, unique toys and books, remedies from yesteryear, hardware items, and other hard-to-find kitchen and bath items. This little hometown hardware store is a surprising establishment. Independently owned and operated with a staff of two, Taylor County Supply in Grafton, West Virginia, has been in business since 1995 helping customers find their general hardware items, building materials, garden supplies, and animal feed. You won’t find a better or more accommodating small town hardware store than Rusty’s Hardware in Cowen, West Virginia. Rusty’s may not be a big chain store, but what they lack in size, they make up for in personalized customer service. Great customer service with a small hometown feel is what you can expect at Bob’s Hardware and Rental in Hurricane, West Virginia. They offer the supplies you need for your home improvement project and can offer assistance in finding the right solution for your need. You can depend on Bob’s for repair work on windows, small engines, screens, and sharpening, and they can match paint colors with ease. Exuding confidence with a motto like “If we ain’t got it, you don’t need it,” Route 60 Hardware in Milton, West Virginia, is worth the trip just to see what’s earned it high ratings on social media. Besides quality tools and home improvement supplies, you’ll find the personal attention and helpful staff to be second to none. Whether you’re looking for a place to buy the supplies for your next project or need to rent equipment, Roger’s Hardware in Pinch, West Virginia, is a great resource. The friendly and helpful sales staff work hard to help you find exactly what you need and the store is well-stocked.